I have covered Tube Amp’s portable amps in the past (here and here). 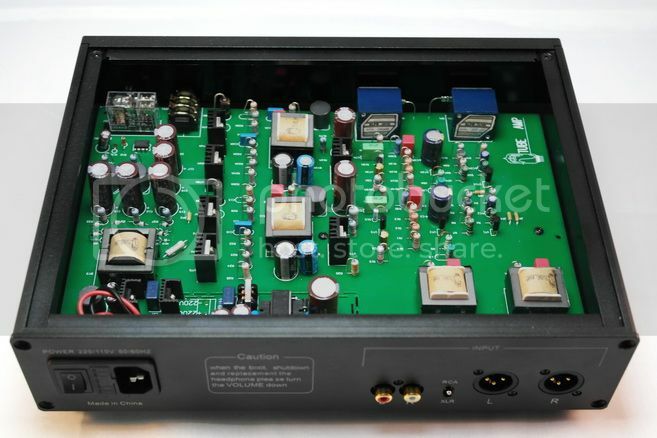 While the company is called ‘Tube Amp’, they don’t limit themselves to only tube amp, but also discrete amp. The LF-15 however is their first venture into the world of desktop gears with another fully discrete design, priced around US$450. The overall build quality is pretty solid. Really nothing fancy to talk about, nor is it any particular weak spot to complain for. If anything, the housing is a bit bland with just a black metal box and two big knobs. The PCB inside seems to be well arranged and again, nothing really to praise or complain about. While the components are probably hand soldered, the PCB itself doesn’t look DIY’ish, which is of course a good thing. The amp can operate on both 110V and 220V AC, so it should be fine to use in just about everywhere that has a power socket. 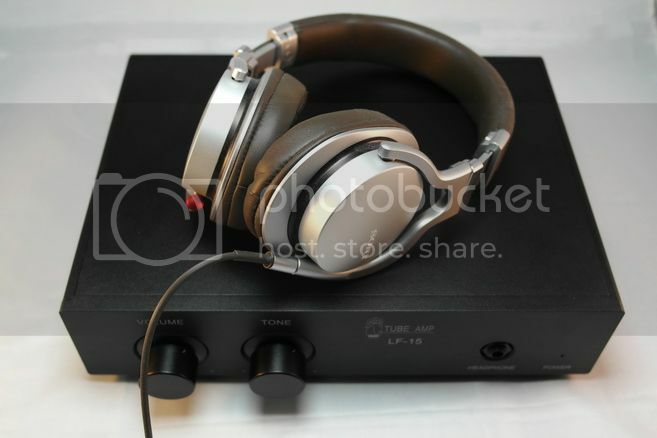 It takes both RCA and XLR input, though only has a single ended 6.35mm stereo output. I have complained in the past that Tube Amp’s portable amps all having too high a gain and unfortunately I have to make the same complaint again. By measurement, the LF-15 has a fixed gain of about +19dB, which is just way too much for the majority of headphone out there. The high gain also makes LF-15 hissy. While I can’t hear any hiss when music is playing, it is definitely quite noticeable in silence passage. The only workaround is to use higher impedance, less sensitive headphone. But a real cure would have been a gain switch that allows better matching of gain and headphone. As always, I started my evaluation of LF-15 with a RMAA measurement. For the most parts, it doesn’t quite able to compete with my reference O2 but still good enough that I don’t see a problem – however, there are two areas that don’t perform well: Intermodulation Distortion and Stereo Crosstalk. That is strange as I can’t say I have heard anything out of place as the measurement would have indicated, then I realised it might have been a side effect caused by the permanent bass boost that built into LF-15 rather than any actual bad performance. 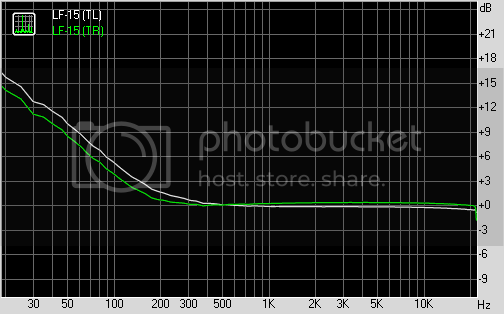 If you look at the FR curve below, you will see that there is a very big sub-bass boost, regardless of whether the ‘tone’ knob is all the way to the left (*TL curve in graph) or to the right (*TR curve in graph). RMAA probably just mistook these bass boost as some kind of distortion when running its test (as those tests involve low frequencies). One area that does indeed not doing so well is its current output – while LF-15 has way too much voltage gain, its current output is really on the weak side. Last but not least, the output impedance is also pretty high, measured and calculated at around 16 ohm. Subjective listening wise, LF-15 is actually quite good. The presentation is neither too tube’ish and musical, nor is it clean and neutral. It is more or less in the middle ground, and perhaps just a bit over to the musical size. Though I won’t say it is in any obvious way euphonic sounding, it does have somewhat of a smooth sound. Due to the sub-bass boost, bass kick and extension are quite excellent – but can be a double edge sword if you already have a really bass heavy headphone or simply doesn’t like that much bass. Though the good news is that the boost is all in the sub-bass region and doesn’t intrude the mid-range at all. An even better news would have been a user selectable bass boost switch, which would have made the LF-15 a more versatile amp. One setting that user does get to play with is the ‘tone’ knob, which doesn’t seem to vary the frequency response that much but there are fairly audible change in the presentation. With the tone all the way to the left, the presentation is on a warmer and smoother side; with the tone all the way to the right, the presentation changes toward a cleaner and detail oriented sound. It is almost like the tone knob is changing the focus of the presentation between the mid-low and upper mid-high range, though I can’t be sure of the exact mechanism behind it. Last but not least, the soundstage is quite good. Not the best of width or depth I have ever heard, but definitely above average and fairly immersive while not restricting. All and all, my feeling is a bit mixed regarding LF-15. While it sounds good, the permanent bass boost, high gain and low current output, plus the high output impedance limits its usage more or less toward higher impedance, single driver full size headphones, and that inherently restricts its appeal to a wider audience. I like Tube Amp’s products because I know they always aim to deliver unique and original implementation for their amp instead of following the trend, but sometime it is that uniqueness that hinders the its practicality. 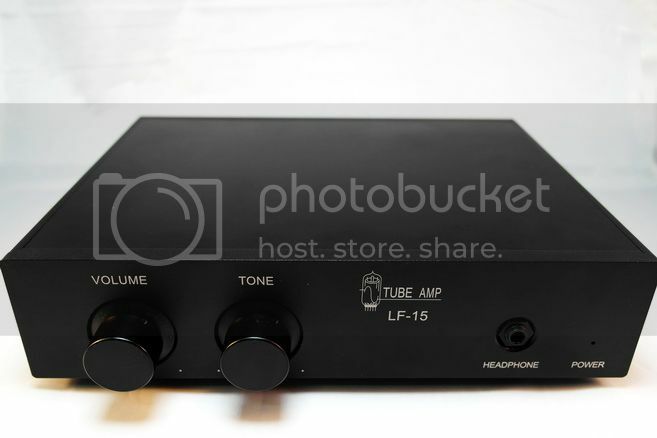 I really like to see Tube Amp next product has more user selectable settings - but for now, I’ll say that LF-15 is not for everyone. A thanks to Tube Amp for the review sample.